There has been a lot of discussion lately on Texas wine competitions, the best Texas wineries, and so forth. Since we have visited over 100 Texas wineries, we decided to put together a quick list of the first TX Wine Lover awards to highlight the Texas wineries we feel is best in a certain category. Please realize these awards include only the wineries we have visited. We are also going by memory, some of which is over a year ago, so we apologize if we may have misplaced a winery with the same characteristics as one discussed. The next time we produce an awards list and have visited more wineries or re-visited favorites, the list may change. Flat Creek Estate. This tasting room is reached entering the winery from a top level and taking a set of stairs down. The tasting room has tables where you taste instead of standing uncomfortably at a tasting bar. A person helps you select which wines to taste. If you want to enjoy the fresh air, you can exit the side door to an outdoor patio where you can enjoy more wine. Fawn Crest Vineyards. The tasting room is actually in the owner’s house and is in the bar area. It is a nice pleasant experience but not your usual tasting room. Colony Cellars. The best wine tasting for the price is obviously free. Most wineries now charge a fee and if you want the better wines it is kind of expected to have to pay a little. 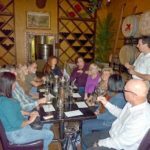 If all you care about is getting the most tastings for free, then Colony Cellars is the way to go. There you can get 12, yes 12, tastings for free. And they’ll even throw in some crackers to help you cleanse your palate during your tasting. Cross Timbers Winery. Cross Timbers Winery in Grapevine gives cheese and crackers during your tasting. It helps make the transition between wines a little easier. Torre Di Pietra Winery. A lot of wineries have live music happening most weekends so it is tough trying to decide on the best, especially since we haven’t had the opportunity to listen to a music event at every winery. Most wineries seem to have their music events Sunday evenings which makes for a nice end to a weekend, but a little tough to get up the next morning to go to work. However, Torre Di Pietra Winery has music every Saturday during the day, in addition to an occasional festival. Messina Hof Winery & Resort. Messina Hof always seems to have something going on, whether it is festivals, dinners, wine bar events, and even wine classes. Driftwood Estate Winery. There are some beautiful wineries with views but we believe Driftwood has them all beat. You have to drive up a dirt road to get to the top of the hill where the winery is but once there, the view overlooking the valley and surrounding hills is breathtaking, especially at sunset. Tara Vineyard & Winery. 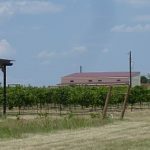 A lot of wineries get their Texas grapes from the Lubbock area or other parts of Texas. Most wineries, if they are able to, have at least a little vineyard near the winery. A lot of vineyards look great next to the winery, especially during the summer when the grapes are growing. This award is a tough one to call. Enoch’s Stomp Vineyard and Winery almost took this one with its winding road up through the vineyard to the winery. However, we like the view of the vineyard at Tara Vineyard & Winery. The view from the entrance with the vineyard leading up to the old beautiful home nestled among the vineyards is a great sight to see. Fall Creek Vineyards. If you have not had the chance to visit Fall Creek Vineyards, just go to their website and you’ll see right away why we think this is the best entrance to a winery. The tree lined road leading to the winery is a picture out of a book, especially when the trees are in full bloom. You’ll find yourself stopping at the entrance and taking a photo. Fall Creek Vineyards. Most Texas wineries have to charge more for their wine since they make smaller productions. These are the prices we were used to until we arrived the first time at Fall Creek Vineyards and saw the prices of their wines. Even though they do make wines which cost more, you can still find a considerable number of wines under $10. A couple other wineries have been able to reach this price point, but we’ll give the nod to Fall Creek Vineyards where we first encountered great wines for under $10. Messina Hof Winery & Resort. Not all wineries have a restaurant, and for those that do, we have not had the chance to eat at every one. 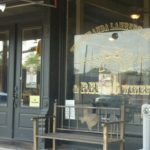 Savannah Winery & Bistro had very good food, but as far as atmosphere and excellence in food, it has to be Messina Hof. The atmosphere with the dining tables surrounded by the wine barrels is fantastic. If you want to really splurge, try the Chef’s Table where you will get a five course meal especially prepared for your likes and each course is paired with a different wine. Tie: Haak Vineyard & Winery, Grape Creek Vineyards, and Torre Di Pietra Winery. This category is so difficult to decide. Most wineries have some form of gift shop and it is difficult to determine the best gift shop. Ideally you want to have a gift shop where customers can spend time looking at the various items including tasting some jams, jellies, and salsa. You want to have useful items like wine accessories but not have too many items which are just plain unusual. These wineries have enjoyable gift shops. Singing Water Vineyards. If we have time and can catch scheduled tour times, we will take a tour. Even though we have been on quite a few tours, we seem to learn something new every time. We had a very interesting tour at Los Pinos Ranch Vineyards given by the owner Jeff Sneed, but we’ll have to give a slight nod to Singing Water Vineyards. The tour was given by an elderly gentleman from who we learned quite a bit about winemaking. Messina Hof Winery & Resort. What would we look for in a winery to hold our wedding? It would have to have a beautiful location or multiple locations to select from. A reception area or restaurant would be necessary after the wedding. Even a place to stay would be great. But to top it all off, how about a famous winemaker who can even marry you? We’re then talking about Messina Hof where owner/winemaker Paul Bonarrigo can legally perform a marriage. Duchman Family Winery. Quite a few wineries are beautiful outside with the landscaping and grounds. We have to choose Duchman Family Winery as the most beautiful with a large fountain, benches, seating under big trees, etc. It is as beautiful during the day as it is at night with the lighting. Sweet Dreams Winery. A number of wineries concentrate on making wine from fruit instead of just grapes. 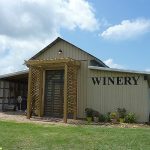 Interestingly, there are a large number of these wineries in East Texas. Hence there lies our favorite winery for fruit wines which is Sweet Dreams Winery. 90 percent of the wines they make are from local fruit and they make wine from almost any fruit you can think of. Rohan Meadery. There are wineries making wines out of a lot of different ingredients but we have to choose Rohan Meadery as the most unique as all their wines contain honey. They started with mead which is primarily made with honey and are starting to branch out with more traditional wine which still includes some portion of honey. Sister Creek Vineyards. By far Sister Creek has the closest thing to a sparkling Italian Moscato in Texas. Llano Estacado Winery has recently come out with their Moscato which is close but Sister Creek still holds the award. We pulled up to the winery and a member from another winery was there. When we asked why, the answer was they know how to make Muscat Canelli. Who are we to argue with the experts out there? 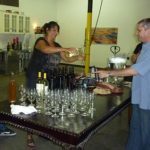 Sister Creek Vineyards make a Muscat Canelli and a Muscat Canelli Reserve. You can probably find the regular Muscat Canelli in your local big liquor store, but not the Reserve. To get that, you will need to visit the winery. Grapevine, Texas. If you want to collect some Texas Winery Passport codes, the best place to get a few is in the middle of Grapevine. 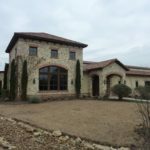 There you can get a Texas Winery Passport code within walking distance from Homestead Winery, D’Vine Wine (as long as you do not have another D’Vine Wine passport code since they are all the same), and Farina’s Winery. If you feel like doing more walking, you can walk to Su Vino Winery and La Buena Vida Vineyards too. CrossRoads Winery. We have had a lot of fun at different wineries but the most fun is when you can interact with the owners. To that end, CrossRoads Winery has to be our number one choice. We visited on a Friday night when they have live music. Darlene Leiker, co-owner, handled our tasting and she was a blast. When you get introduced to jalapeno shots by the owner, and so you don’t feel left out she does them with you, what a fun time! We’ll talk more in a future blog post about CrossRoads Winery, but briefly a jalapeno shot is a candied jalapeno pepper in a white wine shot glass. Lone Star Wine Cellars. Some pourers handling tastings just go through the motions to do the tasting and yet there are others who make your tasting really enjoyable. The most bubbliest pourer we have met is Rubye, an elderly lady at Lone Star Wine Cellars. The next time you’re in McKinney, call ahead and see if Rubye will be working. So there is our first TX Wine Lover awards list. What are your comments or suggestions on our choices? Are there any other categories we may have forgotten? We’d love to hear from you. Man! Somehow I missed this post! Love it! Good job, thanks for posting. Wonderful information! Thanks so much. Thanks for this Jeff! Give me a list to work from for our next tasting road trip. Definitely agree with Flat Creek Estate for tasting room and Fall Creek Vineyard for entrance. I was surprised this was found in the archives by somebody. We did do one more year of awards and decided then it was too tough to determine recent activity after visiting so many wineries. Ha ha, I just noticed that this was from 2011. It’s amazing what news aggregators will pick up and make fresh.